In 1982 Paul Weller pulled the curtain down on The Jam by presenting his loyal and distraught fanbase with the group’s farewell album – The Gift. Despite containing a handful of his best ever songs – Ghosts, Running on the Spot, A Town Called Malice – The Gift has never been cited by Weller as one of his best ever. Fast forward thirty five years and Weller has delivered an album that is benevolence incarnate. Being a Paul Weller devotee is not easy. A fanbase established largely when star musicians commanded armies of followers, Weller is now well and truly out of the mainstream but commands a loyal following who have stuck with him through feast and famine. There’s a consensus that he could write a hit single if he wanted to but that he prefers to play on the edges of what is sonically interesting to him. The string of albums since (and including) 22 Dreams has seen him follow a path of musical exploration with more hits than misses. Flexing his musical muscles, following his nose and putting together a series of albums that have seriously and genuinely expanded the envelope of his music. There is much for musos to explore in his work and one wonders why his creativity is not taken more seriously. A Kind Revolution marks a step change and there had been signs it was coming, 2015’s Saturn’s Pattern contained a stone cold classic piece of songwriting – Going my Way, as well as the yearning, loose and atmospheric These City Streets (A nod to The Style Council’s The Piccadilly Trail – he does melancholic London so well). His live set went up a gear, the inclusion of highlights Have you ever had it blue? and Starlite adding some well deserved joy for Weller diehards. And more recently he’s been busy in the studio with a soundtrack for movie Jawbone which has drawn praise from muso quarters for it’s sonic inventiveness and the inclusion of two beautiful ballads. He has also played on and produced The Stone Foundation’s Street Rituals album, a walk in the park for Weller but the standout track Your Balloon is Rising demonstrates that of his many and varied skills delivering a heartfelt soul vocal may well be his best. A Kind Revolution is the type of upbeat, melodic and musically deft album that Weller devotees have been yearning for. His voice is expansive, his playing is great and the spirit of the songwriting is positive and generous. This is modern music, put together with love. Weller sounds engaged and coherent, teasing out new routes and sounds to take the listener on unexpected journeys. The first section expands the territory that Weller has covered over the last few albums. Woo Sé Mama literally growls into life like a motor being revved up. Lyrically it delivers a reminder that Weller hasn’t succumbed to the tired acceptance of the status quo, nor is he fooled by those who have but claim otherwise. I’m still here and my message comes from the same place it always has, I’m setting my chin against an unfair world. The lyrics and spirit of not too distant performances of The Jam’s Running on the spot abound here. Nova picks up where Wake up the Nation’s Andromeda left off but builds to a celebratory climax. It’s a confident and important song, there’s much to do and I want to do it for/with you. The cathartic and yet uplifting Long Long Road demonstrates what a wonderful soul voice can do with a pop ballad. It’s simply lovely. The ‘second movement’ takes the album into unexpected and interesting territory. Funk inspired She Moves with the Fayre marks the beginning of a quartet of songs including The Cranes are Back, Hopper and New York, all brimming with controlled inventiveness and enthusiasm. The Robert Wyatt vocal and trumpet on She Moves with the Fayre is tantalisingly beautiful, teed up by Weller with a subtle shift of key that enables Wyatt to slide his delicate and fragile sound in. A sonic vacuum, echo-like, introduces The Cranes are Back. Weller’s vocal snakes around the instruments and has seldom sounded better or more believeable. Hopper is a surprising success. Musicians describing works of art can be a mixed bag, but Weller’s handling and expression here turn what could have been a pretentious exercise into a straightforward lament for watching the world go by. The quartet of songs finishes on the highlight of the album. New York creeps up on you and then sweeps you away, a lover’s joyful celebration of the beginning of a relationship, the excitement of the rush and a joyful gospel chorus. There are echoes of Coltrane and Scott-Heron in this song, even the urgency of Van Morrison’s Young lovers do turning emotion into tune, but Weller makes this all his own, an exercise in controlled excitement. The final three tracks mirror the dynamic of the first three, different from each other, yet engaging and multi-layered. One Tear is a masterpiece. Let’s not call it house, or pop, or ibiza influenced, it’s pure soul music. Over the years Weller has produced a number of summer infused dance tracks. The summer of 1989 saw The Style Council (not) release A New Decade of Modernism and a line can be drawn from the album’s standout track Sure is Sure through Pebble and the Boy to the inclusion of Starlite on 2015’s live set (for this punter the highlight of the tour). Boy George’s vocal is sublime, gritty, earthy and heartfelt. His and Weller’s voices weave in and out of each other throughout the track. It’s cathartic and seriously sad, music for grown-ups. The Satellite Kid takes us back to more familiar territory and is less sonically ambitious, but with wonderful playing by Josh McClorey from The Strypes. 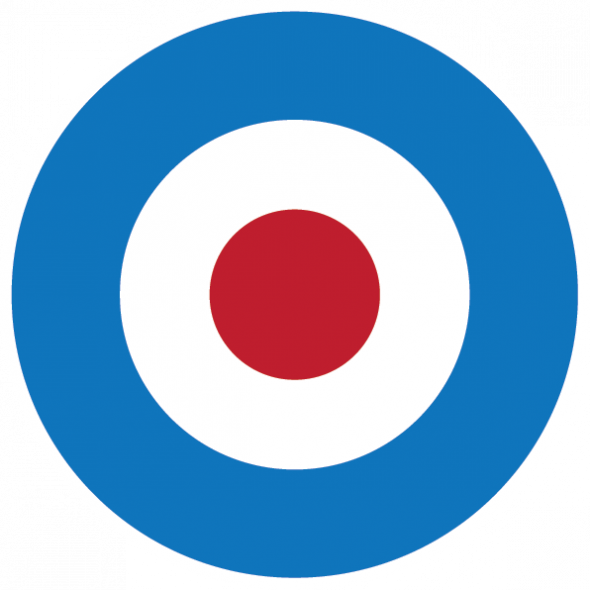 Possibly the only track on the album that doesn’t push too far forward but definitely one that is liked – much like Woodcutters Son from Stanley Road which went on to become a live staple that Weller visibly loved playing. And just when you think it’s all over in comes the album’s topper, The Impossible Idea. In interviews Weller seemingly pre-empts criticism of his creation of this crowd pleaser by using his well honed sarcasm and wit to put it forward as a eurovision contender, but crowd pleaser it is. Melodic and fleet footed, the track bounces along. This is Shout to the Top redux, an artist not interested in the obvious and direct, but in the ponderous and reflective, but it’s a call to action no less. There are echoes of Weller’s more pastoral work here – Picking up Sticks from Heliocentric, and the Nick Drake influence can be sensed in the lyrics “Corn dolly run, strictly meadows" suggesting late summer afternoons in the country. As with 1991’s Into Tomorrow he drops in a reference to a famous mod club – this time south west London&apos;s Crawdaddy where the Stones first played. And the song has the sweetest of stings, just when you think the album holds no more surprises there’s another step change as the quietening of the instruments signifies not a fade out but the introduction of a beautiful harmony. It’s simply great and affirms what the album as a whole is saying – I can do beautiful and melodic, I just sometimes choose not to. There’s an embarrassed cough towards the end of the harmony that one presumes Weller leaves in as a self conscious reminder to not be taken too seriously, but as the album fades away it’s a reminder that beautiful things are created by real people, and vice-versa. Paul Weller: the gift that keeps on giving. A Kind Revolution really is that good. Go and buy it, be kind to yourself.